Is Your Life Backed Up? World Backup Day is this Saturday, the 31st. You back up your files and your computer, but have you ever thought about what it means to back up your life? Insurance agent Brooke Brummer shares her thoughts and advice on backing up your life in this guest blog post. Everyone has a different version of this in their head, but generally when you think of the American Dream, don’t you often think about things? Things you’d like to have, things that cost money, things that could be lost, stolen, damaged or destroyed. Things that need insurance! In a perfect world, we would all be working toward our own American Dream and eventually have some sense of achieving it! Maybe it’s purchasing your first home for you and your family. Maybe it’s watching your child drive off to college in their high school graduation gift – a new car! Or maybe it’s purchasing that dream boat you’ve had your eye on for your entire adult life so you can pursue your hobby of becoming a lake enthusiast. That’s where I come in as an insurance agent. Every American Dream pursuer should have a backup plan. Insurance provides a segue into that backup plan. Without a plan, your American dream could turn into a nightmare in an instant. Imagine losing the home you’ve built or bought for your family, and all of your personal belongings, in a fire or storm. How would you replace those items? What’s your backup plan? Insurance pays to repair or replace items and helps you back into the position you were in before the disaster struck. This can be crucial in putting you back on track to pursuing your American Dream. Do you need auto insurance? Absolutely! If your very responsible teenager has a fender bender while they are out pursuing their own American Dream, what else would get them back on the road with ease? None other than a backup plan – insurance to replace or repair the vehicle! Not only is there a risk of your things being damaged physically, there’s also a risk of liability! Yes, insurance protects against that as well. All of your “things” could disappear in an instant if you are found liable, and therefore fiscally responsible, for an accident. An umbrella, or personal liability policy, is available to protect everything you’ve worked so hard for up until this point, so that your liability is protected. So, while I’m out pursuing my version of the American Dream as an insurance agent, I will also be helping you protect yours with a backup plan. March 31st is World backup day. If you don’t have your backup plan in place, today is the day to consider it! Want to start, review or modify your backup plan? Contact your local insurance agent today. Looking for more information on insurance? 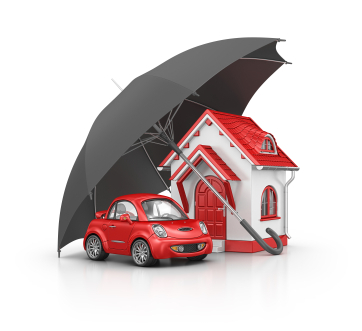 Check out our blogs, Auto Insurance: A Basic How-To and Do You Have a Home Inventory?